February 2018 – Singapore is implementing an immediate increase in tobacco excise duty of 10%. The change was announced by Singapore’s Finance Minister, Heng Swee Keat, earlier the same day during the nation’s annual Budget 2018 speech. The tax change aims to discourage tobacco consumption in Singapore and subsequently protect its citizens from its devastating health consequences. 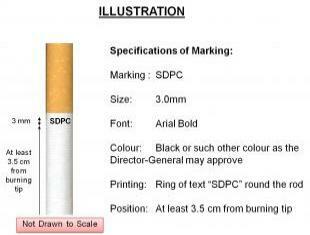 This measure is also in line with the requirements of Article 6 of the WHO Framework Convention on Tobacco Control, ratified by Singapore on 14 May 2004. Figures cited in the Guidelines for Implementation of Article 6 of the WHO FCTC detail that (based on an average income elasticity of demand of 0.5) a 10% increase in the price of cigarettes will result in a 5% decrease in consumption. Excise tax is a duty on manufactured goods levied at the moment of manufacture, rather than at point-of-sale. It is an indirect tax that governments deploy expecting companies to increase the price of the final product. Products such as cigars, cheroots and cigarillos will see their excise duty increase from S $388 (US $294.39) per kilo to S $427 (US $323.98). Excise duty on unmanufactured tobacco products will be raised from S $352 (US $267.07) per kilo to S $388 (US $294.39). Cigarettes containing tobacco or tobacco substitutes will be subjected to excise duty of almost 43 cents (33 US cents) for every gram or part thereof of each stick of cigarette. This excise duty was previously 39 cents (30 US cents) for every gram or part thereof of each stick of cigarette. For full details, please see the circular published at: https://www.customs.gov.sg/~/media/cus/files/circulars/corp/2018/circular%20no%20012018%20ver%201.pdf. Singapore’s responsible tobacco policymaking has been matched by relatively low (and further diminishing) tobacco consumption, and stands as an outstanding example to the rest of the world.